The Federal Bureau of Prisons said he left a correctional facility in New York's Adirondacks on Tuesday, though time remains on his sentence. The bureau says the release date for the 36-year-old rapper, whose real name is Jeffrey Atkins, technically remains July 28, with possible community-based supervision for the balance. TMZ reports his wife picked him up and he will remain in home confinement until then. 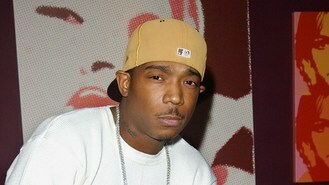 Ja Rule had served most of a two-year sentence for illegal gun possession in a New York state prison before his release in February and subsequent transfer into federal custody in the tax evasion case. He admitted failing to pay taxes on more than 3 million US dollars earned between 2004 and 2006.